Add Hitch Drawbar Storage Bag? The product listed for sale here is JUST the drawbar and is only functional if a Hitch is installed. 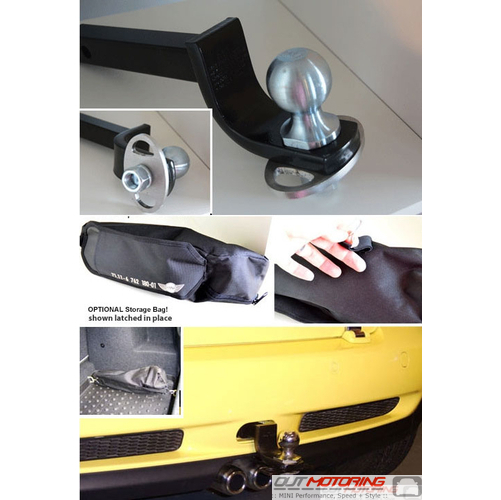 This part connects to the hitch receiver and has a 1-7/8" ball and includes the factory MINI storage pouch to keep it safe and anchored in the trunk of the MINI.